A mahogany Chippendale side chair. 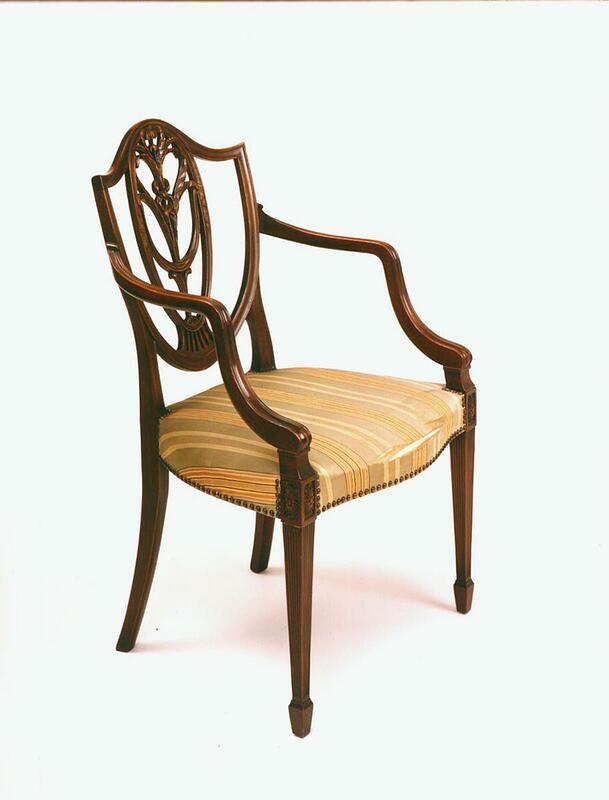 The first chair, a mahogany Hepplewhite style arm chair, has a striped upholstered seat and a ‘shield’ type back carved in wheat stalk, drapery, and floral motifs. The legs are squared and taper to spade feet; legs and arms are fluted. Decorative rosettes are inset into the top portion of the leg. 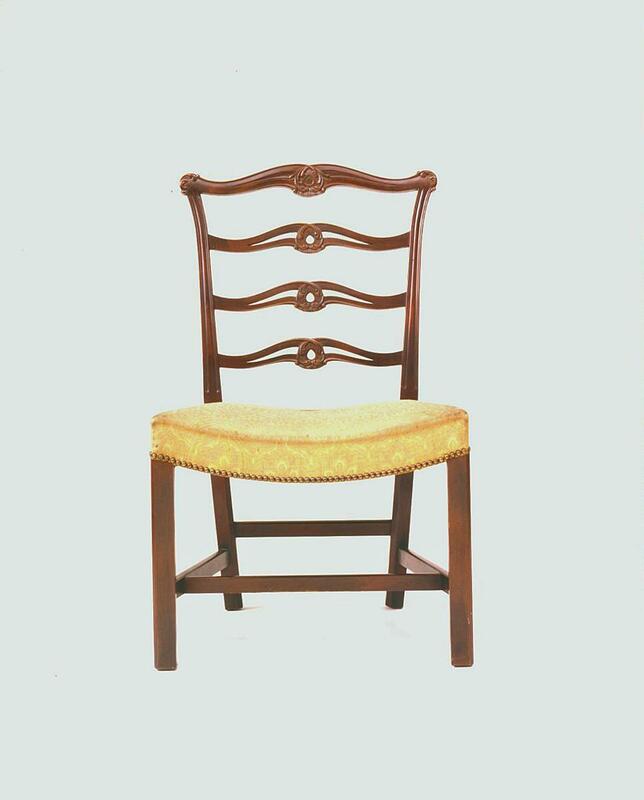 The seat of the second chair, a mahogany Chippendale style side chair, is upholstered in yellow material with brass nail head trim. The legs are square, an adaptation of the Marlboro leg, and the back is ladder back in form. Each ‘cupid’s bow’ type rail is pierced and carved in leaf and scroll motif. The ‘ears’ are similarly carved. The back legs are splayed with rectangular side and central stretchers. Both chairs were donated to the Grand Rapids Public Museum in 1963 by the Johnson Furniture Co. The Hepplewhite chair dates from 1925 - 1935. Its measurements are: 61 cm wide, 63.5 cm deep, 98.5 cm high. The Chippendale chair dates from 1920 - 1930. Its measurements are: 57.5 cm wide, 56 cm deep, 94 cm high.